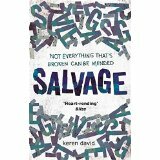 Keren David has been a professional writer since she was 18, starting out as an editorial assistant on a national newspaper. She worked in various roles as a journalist until 20 08 when she decided to try writing a children’s book; this turned into the award-winning When I Was Joe, which was published in 2010 and became the first in a trilogy. 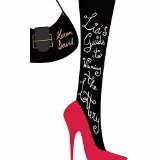 Her book Lia’s Guide to Winning the Lottery is being adapted into a musical, with Keren writing the script. Keren is a Visiting Lecturer on the MA in Creative Writing and Publishing for City University. 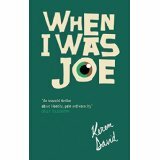 Gro wing up in a small town in Hertfordshire, Keren David had two ambitions: to write a book and to live in London. She has lived in Glasgow and Amsterdam, where in eight years she learned enough Dutch to order coffee and buy fruit and vegetables. She is now back in London and lives with her husband, two children and their insatiably hungry guinea pigs. Find Keren on Twitter @Kerensd and at her website and blog. Cuckoo: He’s a household name – without a home. Jake is an actor, a household name thanks to his role on the UK’s most popular soap. But his character went upstairs to his bedroom six months ago and never came down again, and now Jake is facing an uncertain future. Add to that his dad’s anger issues, the family’s precarious finances and the demands of a severely autistic brother; Jake’s home feels like a powder keg waiting to explode. It’s easier to spend nights on friends’ sofas and futons, but what happens when you feel like a cuckoo in every nest? 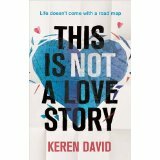 This Is Not A Love Story: Kitty dreams of a beautiful life, but that’s impossible in suburban London where her family is haunted by her father’s unexpected death. So when her mum suggests moving to Amsterdam to try a new life, Kitty doesn’t take much persuading. Will this be her opportunity to make her life picture perfect? In Amsterdam she meets moody, unpredictable Ethan, and clever, troubled Theo. Two enigmatic boys, who each harbour their own secrets. In a beautiful city and far from home, Kitty finds herself falling in love for the first time. But will love be everything she expected? And will anyone’s heart survive?